To place your Easter order please fill out the form below. All our baked goods are homemade in our commercial kitchen. Our chickens and pigs are raised on our farm! Our online order form will be available until April 17th at 3:00 pm. Please place your order in advance to avoid disappointment. **Friday & Saturday our hours are adjusted from regular hours to accommodate the holiday! All of our baked goods and preserves are handmade in our commercial, on-farm kitchen. We take great pride in making delicious,high quality food! Cheese and Pickle Trays include crackers for serving. All of the meat we raise on our farm is GMO-free, antibiotic free and hormone free. We take great pride in raising top quality meat from turkey to chicken and pork! Custom cuts available. Thank you for your Easter order! 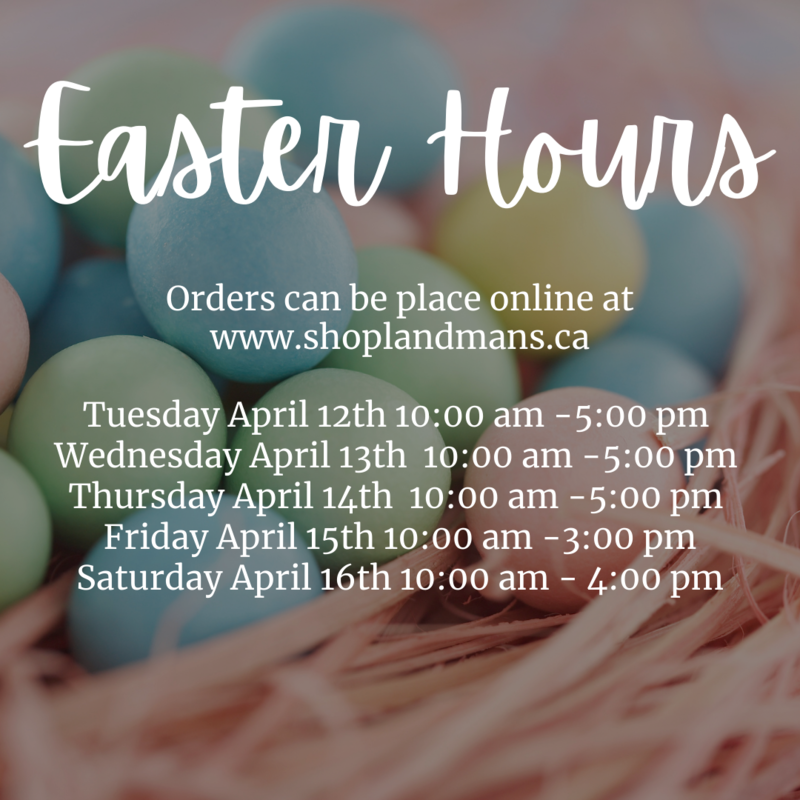 You will receive an email back confirming all of the details of your Easter order within 48 hours of placing your order!